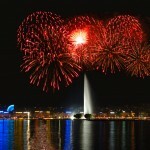 Every year on 1 August, Swiss celebrate the founding of their nation, typically with barbecues, friends, town celebrations and a lot of fireworks. But what is it all about? 1. Switzerland’s national celebration, held every year on 1 August, celebrates the signing of the Federal Charter of 1291 in early August of that year. The three cantons of Uri, Unterwalden – now the two half cantons of Obwalden and Nidwalden, and Schwyz, agreed to stand together against outside judges and aggressors. Legend has it that a group of freedom-loving men swore an oath of allegiance on the Rütli meadow (or Grütli) on the shore of Lake Lucerne in the canton of Uri. 2. The Federal Charter of 1291 was officially regarded as Switzerland’s founding document only in the late 19th century. The document was rediscovered in 1758 in the Schwyz archives, and the Swiss government has officially regarded it as Switzerland’s founding document since the late 1800s. The first official celebration of the Charter took place in 1891 to commemorate its 600th anniversary. 3. The 1st of August only became a national holiday in 1994. On 26 September 1993, the people of Switzerland voted overwhelmingly (86.3%) for 1 August to become a national holiday. 4. 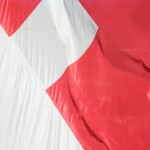 Switzerland’s national anthem only became official in 1981. On this date, the current anthem, the Swiss Psalm, officially replaced an earlier version sung to the British tune of God save the Queen. 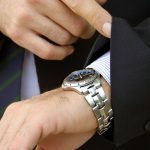 According to the Swiss Society of Public Interest, the current text is not popular, many people do not know it, and only a small percentage can recite it. In 2014, the group launched a competition for a new one. Then in 2015, they announced the winner. This proposed anthem text, sung to the current tune, is not official. 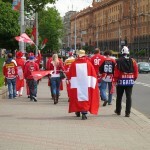 The proposed anthem text is sung here in Switzerland’s four national languages.